Our newest book is now available: Zend Framework 1 to 2 Migation Guide by Bart McLeod. Zend Framework 1 has been around ages which means there are many legacy sites using it out there. 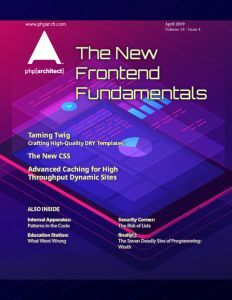 If you’re tasked with maintaining one, or have inherited one, this guide will give you practical advice on how to update it to use Zend Framework 2, including discussion of how Views, Layouts, Databases, and Modules work in ZF2 compared to it’s predecessor. I’ve corrected the title. Thank you!